Arriving into Rasnov, your gaze is immediately directed upwards. 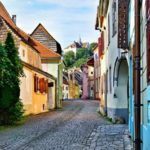 You’ll notice the town’s name boldly announced with white letters perched on the hilltop above like its nearby neighbor, Brasov. 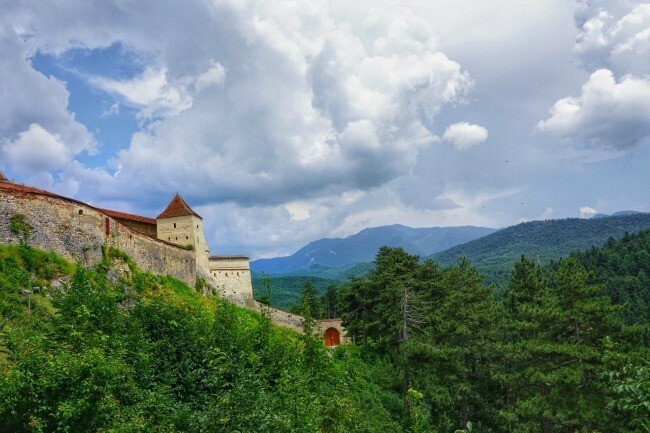 The impressive Rasnov Fortress emerges from the green forest just beyond. The stone facade and orange rooftops circle the hilltop spying any potential invaders. 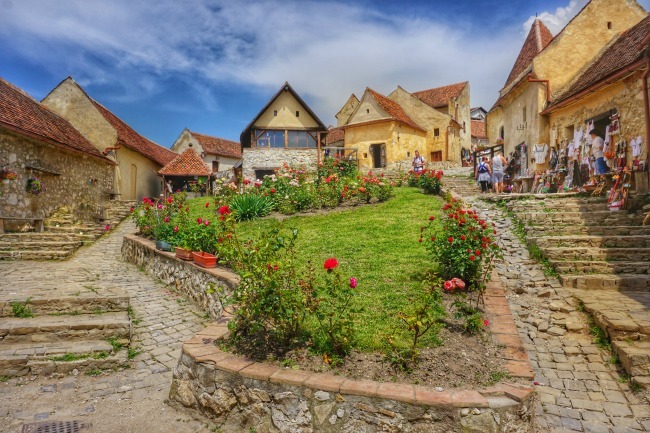 The town of Rasnov is just 9 miles from Brasov in the Transylvania region of Romania. 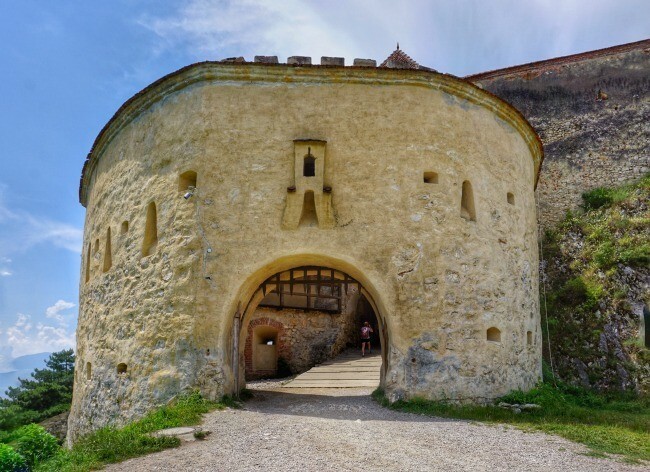 Rasnov Fortress dates back over 700 years and has a long history as a successful strategic defense point. Historical evidence shows the fortress only surrendered once because the invading army discovered its secret water supply for the people within the rock-solid walls. 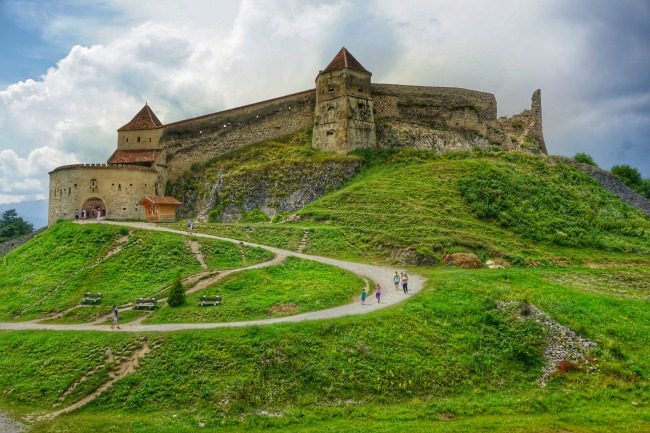 Given its location 650 feet up a steep hill surrounded by thick forests, even now home to bears and other wildlife, it’s easy to see why invading armies couldn’t conquer Rasnov Fortress. Records indicate the Saxon population built upon an already pre-existing structure to create the 14-century fortress you see today. Rasnov Fortress differs from a castle like Peles, where the structure and grounds were reserved for members of the Royal party and their court. Instead, the fortress was its own small community and served as a place of refuge and safety during times of attack. All classes of people, including peasants from nearby villages, fled to the fortress and stayed in the small houses lining the spiraling streets inside. If you arrived in Rasnov by public transportation or taxi, you’ll need to follow in the invaders’ footsteps up to the fortress. 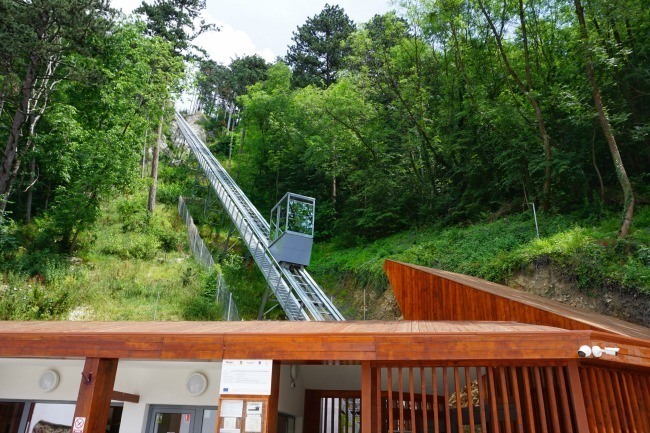 Walk through the town to the base of the hill to take the cable car to the fortress. Undoubtedly, a much more modern way to approach the fortified walls! When I researched this day trip, there was information about a hiking trail through the woods to the top. Unfortunately, I saw no signs or entrance for this trail, despite the cable car construction having been completed. Once at the top, follow the path alongside walls to the fortress’ ticket booth and entrance. 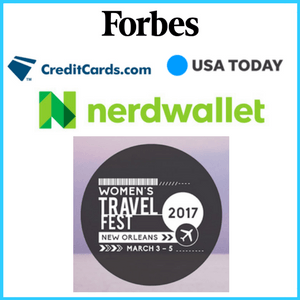 The ticket is 2.5-3 Lei, less than $1US. Before passing underneath the Fortress’ portcullis, visitors can try their hand at archery in the adjacent grassy meadow. There’s also a smaller structure opposite the fortress with a rickety wooden staircase and ladder. If you’d like a great vantage point for a photo of the fortress, this is it! The fortress was recently restored after decades of neglect. It’s the best-kept ruins of its kind in all of Romania. Stroll along the maze of streets within the fortress. Take time to see the stone houses just past the old Saxon school. 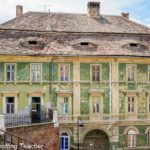 Unfortunately, the school is not open to the public, but the outside is in remarkable condition like many of the 9 remaining citadel towers in Sighisoara. Some of the restored structures have been turned into attractions and shops. In one, you could hone your ax throwing skills, while in another you could purchase a bottle of water or a souvenir. I wished the shops were more reflective of the fortress’ time period. I would have loved a “working” fortress with craftsmen and trade shops instead of a kitschy display of shirts and knick-knacks. Nevertheless, the buildings and grounds shone through and lent themselves to a step back in time. Hundreds of years ago the location of Rasnov Fortress served as an excellent defensive vantage point. Nowadays, its perch treats visitors to spectacular views of the surrounding countryside. Make your way along the streets, toward one of the highest spots within the fortified walls. Look for the flagpole with the Romanian colors blowing in the breeze. 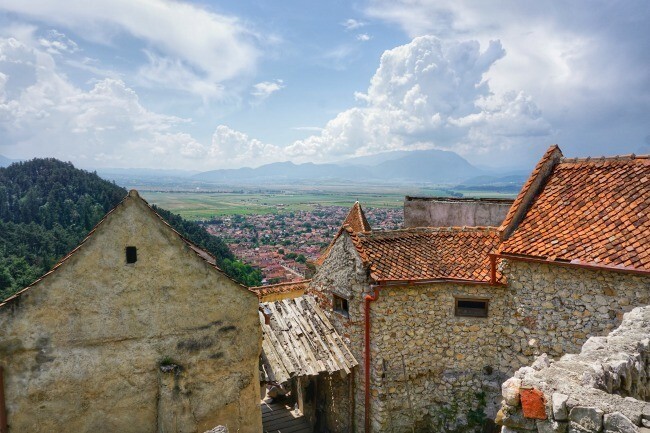 Climb up to the rocky ledge to glimpse the sweeping panorama of Transylvania. If you spot any Ottoman or Hungarian invaders on the horizon, be sure and sound the alarm! 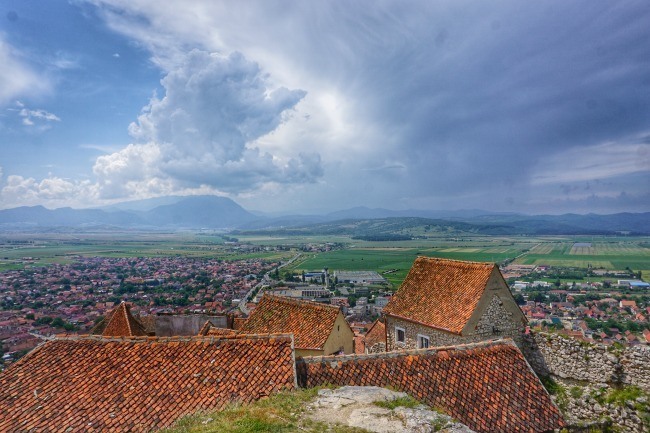 Rasnov Fortress is just 9 miles from Brasov, making it a perfect side trip. If you don’t have a car, there are several options to get you to the fortress. 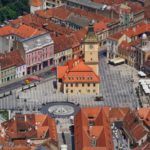 By bus, you’ll have to take the #16 route from Brasov’s center to Autogara 2. From the Piata Sfatului in Brasov, walk to the right down Strada Muresenilor to the traffic circle. On the left, you’ll see bus stops, as well as a place to buy bus tickets. From Autogara 2, the bus to Rasnov runs every 30 minutes during the week and every 60 minutes on weekends. A ticket to Rasnov will cost 4 Lei. To return to Autogara 2 in Brasov, walk down the Strada Izvorului toward the Cinema. Turn right and wait for the bus about 1/4 of the way from the corner. Google Satellite images show a bus sign in September 2012 at the time the photo was taken, however, I can report that sign missing as of July 2016. Thankfully, a friendly local showed me exactly where to stand for the return trip to Brasov. From the Piata Sfatului, turn right to walk toward the bus stops and taxi queues. 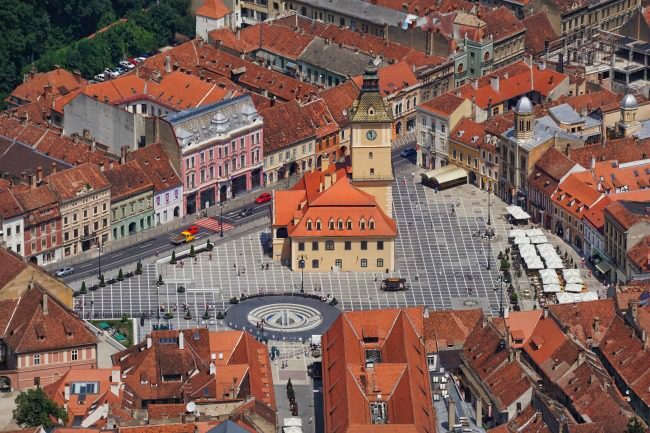 You can also take a taxi from Brasov. You’ll find a taxi queue near the bus stops to the left of the traffic circle mentioned above. Only ride in taxi’s that have fare rates posted in their vehicles. I had just missed the bus and negotiated a 35 Lei fare to Rasnov. Regardless, you shouldn’t pay more than 45 Lei. My driver left me in walking distance to the cable car that takes visitors up to the fortress. Trains also run from Brasov to Rasnov. 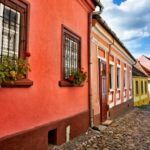 If you’re staying in and around the Piata Sfatului, it’s close to a 40-minute walk to Brasov’s Train Station. You’ll likely want to take the bus or a taxi to the station. Be sure to get off at the first Rasnov stop (not Rasnov h.) or else you’ll end up over a mile from the town. Your train ticket should be less than 3 Lei. Use this Romanian Train website for more information. If you’re coming from Sibiu, take the train to Brasov first or plan on a 2-hour drive if you’ve rented a car. 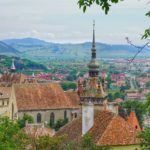 Brasov makes for an ideal base from which to visit Rasnov Fortress. I stayed at the centrally located Krohnhaus Bed & Breakfast. Research and book more Brasov hotels on TripAdvisor! 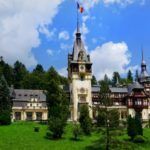 Have you been to Romania? Would you like to visit Rasnov Fortress? 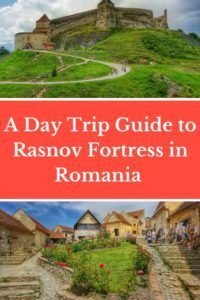 I visited Rasnov Fortress several times now – I am from Romania, so it is easier. There is also a mystery and thriller festival during the summer – books, movies, and fun. It is a lovely fortress and a day trip is definitely worth – especially for the view from above! The festival sounds fun, Lori! I couldn’t agree more about the fortress and its views! Rasnov looks amazing both the castle and the town. It’s like a fairytale. I would love to take the cable car up there. The views must be excellent! 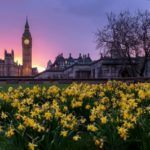 I’ve never been to Romania but your beautiful photos are sure enticing me to change that! Thanks, Arzo. 🙂 The mountains and countryside in Romania are unspoiled and so pretty. 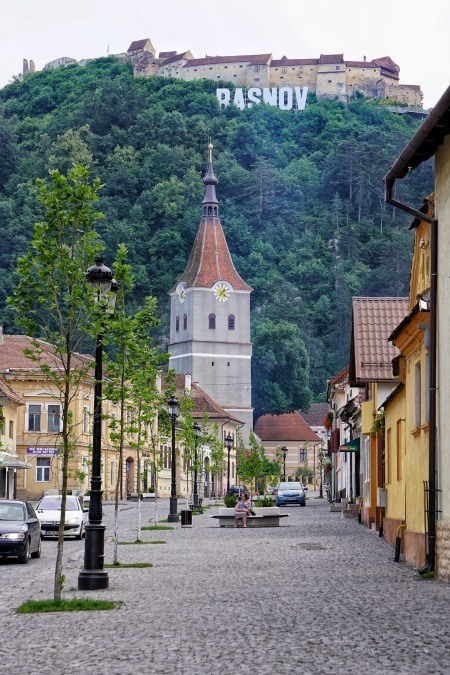 Your photos capture the essence of Brasov. We were there years ago, but only on a quick one day stopover. I think some travel to Romania is in order. I’ve never been to Romania, but it is on my list. Living in Paris, it’s not that far away from me. Rasnov Fortress looks like a lovely day trip. The views alone are worth the trip. 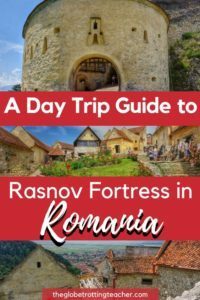 Definitely worth it to visit the Fortress, Leah, and easy to do on a Romania trip from Paris! Romania is a place I would love to visit as I know nothing about it! Looks like an incredible place to come. Great informative post! I am thinking of stopping at Rasnov while on a road trip from Brasov to Sibiu. How much should I plan to the citadel? Hi Jackie! 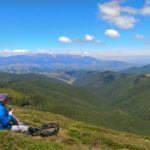 I enjoyed reading about your trip to Rasnov fortress. Although it’s a good thing that the fortress has some restauration works done, which were very much needed because it was heavily neglected, perhaps the marketing strategy is not the best since they seem to go more for basic tourist attraction – like those souvenir shops you mentioned. 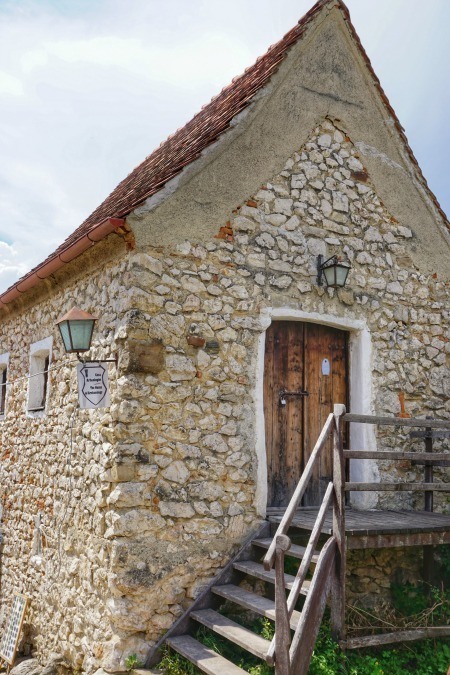 It would have been interesting to see some actual workshops which could display some traditional medieval crafts for the region, especially since the Brasov region was one of the main commercial centers of Transylvania during that time. Let’s hope they will think about something like that in the future.